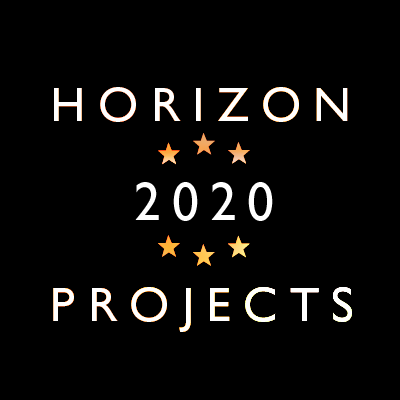 The Security Committee is a group of representatives from the Consortium with sufficient knowledge of security issues, that is in charge of reviewing Project deliverables, in view of deciding about their dissemination in the public domain, possibly after suitable screening of sensitive information. George Spanoudakis is Professor of Software Engineering at City University London and Director of the research Centre on Adaptive Computing Systems (CeNACS). He is also a member of the Council of University of Piraeus (Greece). He holds a BSc degree in Informatics (Athens University of Economics & Business Science, 1988), an MSc degree in Advanced Methods in Computer Science (Queen Mary College-University of London, 1989) and a PhD in Computer Science (University of Crete, 1994). Prior to his current post, he had been a lecturer (1997-99), senior lecturer (1999-2004) and reader (2004-06) at City University. He had also been Head of the Department of Computing at City (2004-2007) and Associate Dean for Research of the School of Informatics at City (2010-2014), and held visiting posts at University of Crete (1999), London School of Economics (1999), University of Essen (2001) and University of Malaga (2008). Professor Spanoudakis works in the broad field of software systems engineering. In 2000, he established the Software Engineering Research Group at City research group (SE@City) and led it until 2014 when the group became part of the Centre for Adaptive Computing Engineering (CeNACS) . His current research interests focus on service oriented computing, cloud computing and software systems security (with particular focus on assessing system security compliance and risk, security certification and security-by-design). He has published extensively in the areas of his research (more than 130 peer reviewed publications) and has obtained more than 5.2m Euro of external research funding. He has also been the principal investigator of several research projects including the EU Framework 7 projects EMBalance (Dec 2013 – Nov 2016), CUMULUS (Certification Infrastructure for Multi-Layer Cloud Services, Oct 2012- Sep 2015), ASSERT4SOA (Advanced Security Service Certificates for SOA, 2010-13), IoT-at-Work (IoT technology in manufacturing, 2010-2013, co investigator), S-CUBE (Software, Systems and Services Network of Excellence, 2008-12) and SLA@SOI (Empowering the Service Economy with SLA-aware Infrastructures, 2008-11), the EU Framework 6 projects SERENITY (Systems Engineering for Security and Dependability, 2006-08), PEPERS (Mobile Peer-to-Peer Security Infrastructure, 2006-08), SECSE (Service-centric System Engineering, 2004-2008), GREDIA (2006-2009, co-investigator), and the EPSRC project IMOOSD (1999-2000).He has also been serving as a member of the editorial boards of international journals, including Int. Journal of Software Engineering and Knowledge Engineering, Int. Journal Of Web Services Research, Int. Journal Of Service Computing, Int. Journal On Advances in Intelligent Systems, Int. Journal On Advances in Security, and Int. Journal On Advances in Software , and the programme committees of more than 150 international conferences and workshops. Currently, these include NTMS 2014 (co-chair of Security Track), ICSOC 2014, SCC 2014, SOCA 2014, SEKE 2014, MODELSWARD 2014, SECURWARE 2014, DEPEND 2014, CLOUD COMPUTING 2014, and SAPSE 2014.